Ginga Associação de Capoeira USA is a martial arts school teaching self defense to adults and kids. 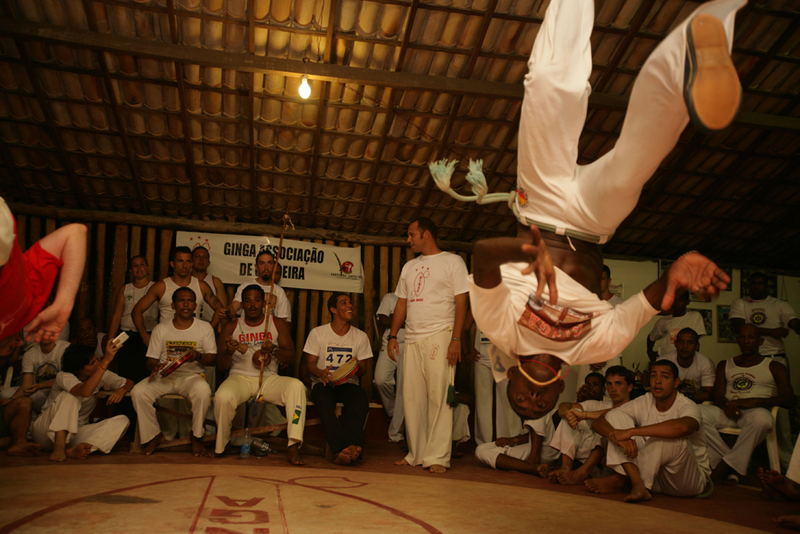 Led by Mestre Kiki da Bahia, Ginga Capoeira USA offers a unique blend of traditional martial arts and modern day street smarts. Classes in NYC, Long Island, and Danbury, CT.
GINGA CAPOEIRA USA (aka Ginga Associação de Capoeira USA) is a school of Capoeira Regional led by Mestre Kiki da Bahia guaranteed to challenge and transform your physical and mental limits through unique movements, exercises and self-defense training. Our personalized and holistic method of training leaves students with an authentic understanding of Capoeira not only as a martial art, but as a complex and trans-formative Afro-Brazilian culture.